This one will bring a smile on your kid's face every day. 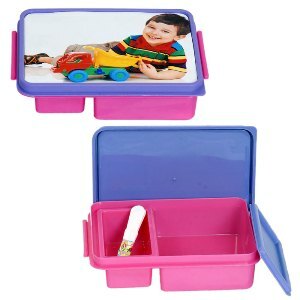 Personalize this tiffin box with your kid's favorite picture. This tiffin box is made of good quality plastic material and comes with a spoon.